Psalm 139:14 says “I praise you, for I am fearfully and wonderfully made.” I’ll always remember reading that astounding truth while still in the hospital after the birth of my first child. God has worked an incredible miracle each time he’s knit together a human being! 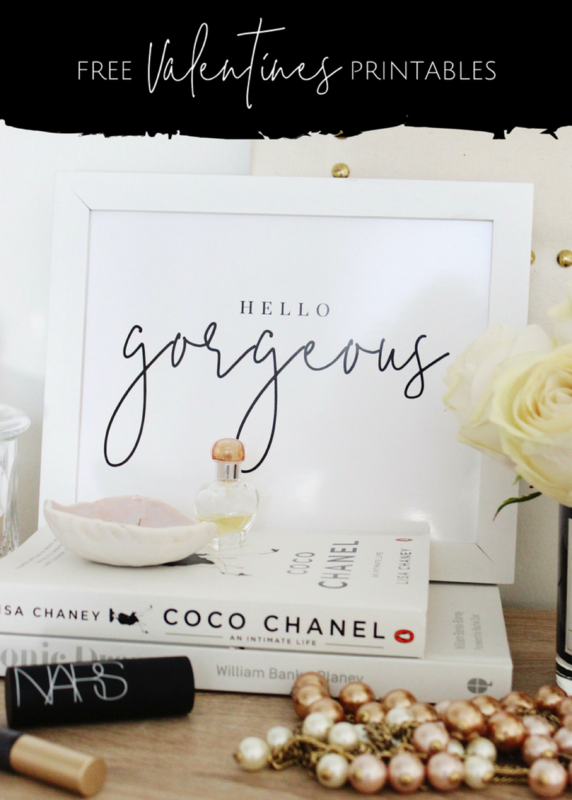 I thought it would make a perfect printable for a girl’s room, especially as they get older and start to navigate our culture’s opinions on beauty. There’s a bonus print that’s a little less girly for a boy’s nursery as well. Just print out, trim to 8 x 10, and frame it up! Enjoy! Printable design is copyright Laura Irion, Scripture copyright ESV Bible, created for Entrusted Ministries, and is for personal use only. 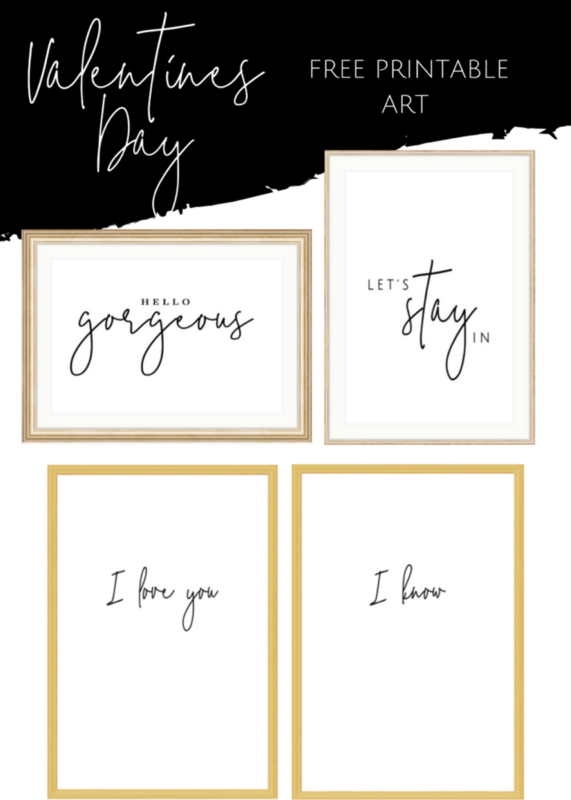 Posted on July 13, 2016 by Laura Irion and filed under Building Your Home and tagged free printables. What a great reminder for us to not walk in our own strength, and to be filled with the Holy Spirit. Just click here for the printable PDF. Download it, print it, and put it up where you (or your kids!) can see it and be encouraged. Posted on February 10, 2016 by Laura Irion and filed under Building Your Faith and tagged free printables. 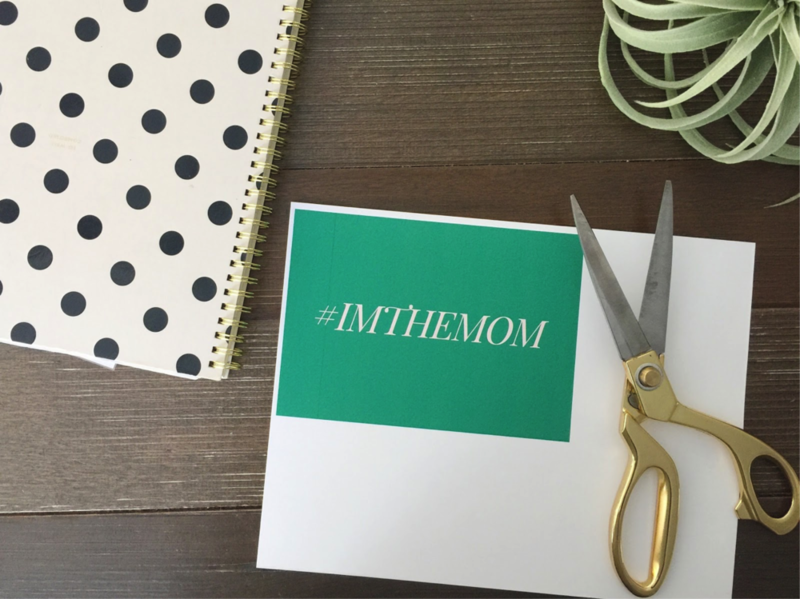 Here at the Entrusted Blog, we are all about encouraging moms. 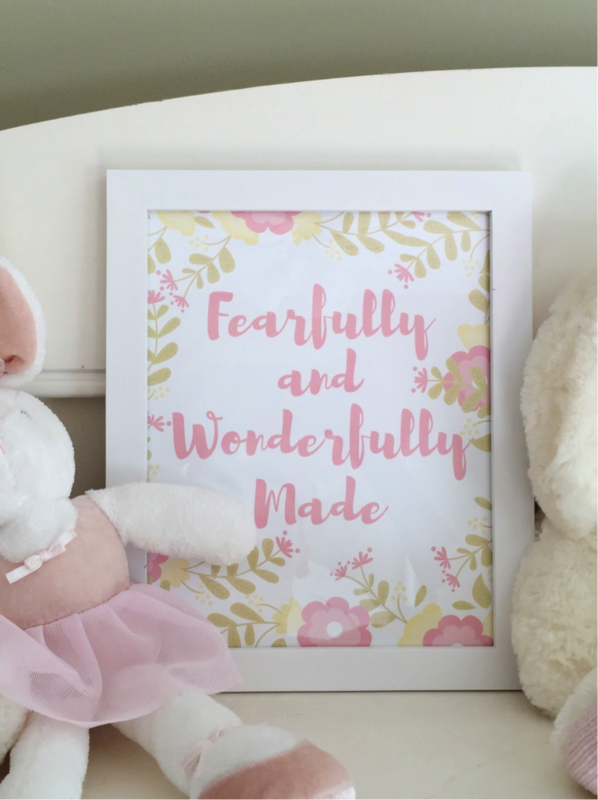 One of the things we like to do from time to time is make something that you can print out and tack up, as a reminder of God’s wonderful Word. 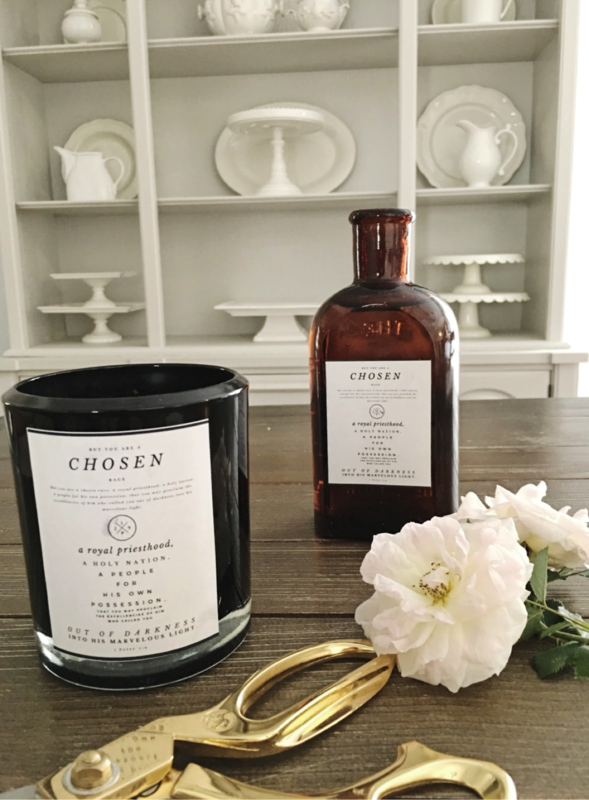 We hope these will be a blessing to you! Today’s free printable is taken from Psalm 36:5-6 (NIV). “Your love, LORD, reaches to the heavens, your faithfulness to the skies. Your righteousness is like the highest mountains, your justice like the great deep…” Isn’t that an incredible truth to meditate upon? Follow this link to download this print free for personal use. You can print it in any size you wish, either on your home printer or through a print service like Fed Ex Office or Shutterfly. Enjoy! Posted on October 28, 2015 by Laura Irion and filed under Building Your Home and tagged free printables. 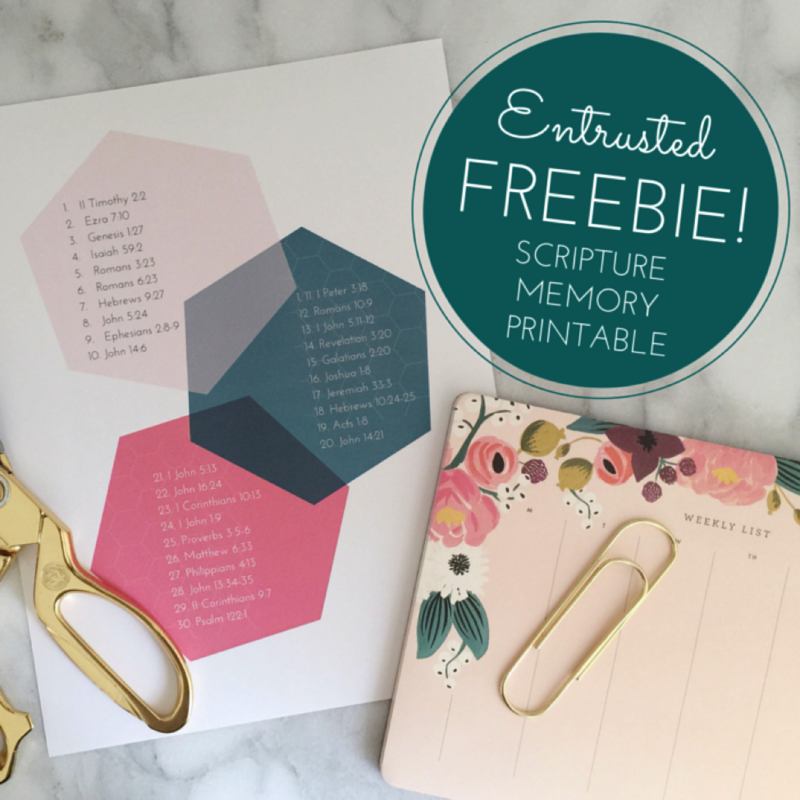 Free Printable: "Must Have Scriptures"
What can be a better way to keep your mind focused on truth than by memorizing Scripture. These are what Betsy's husband Dave considers the "Top 30 Got to Have 'em" verses, which he teaches in his new believers classes. Today we’re offering a free printable for anyone who, like me, finds that a visual reminder is a good motivator. You can get yours by right-clicking on the graphic below and saving it to your computer or device. Then just print to your printer at home (use matte photo paper for best quality) or send to a service such as Shutterfly. The size to print is 8 x 10. Tack it up on your bulletin board or hang it on your fridge and challenge yourself to memorize these key verses. It’s always a good time to hide more of God’s word in your heart! 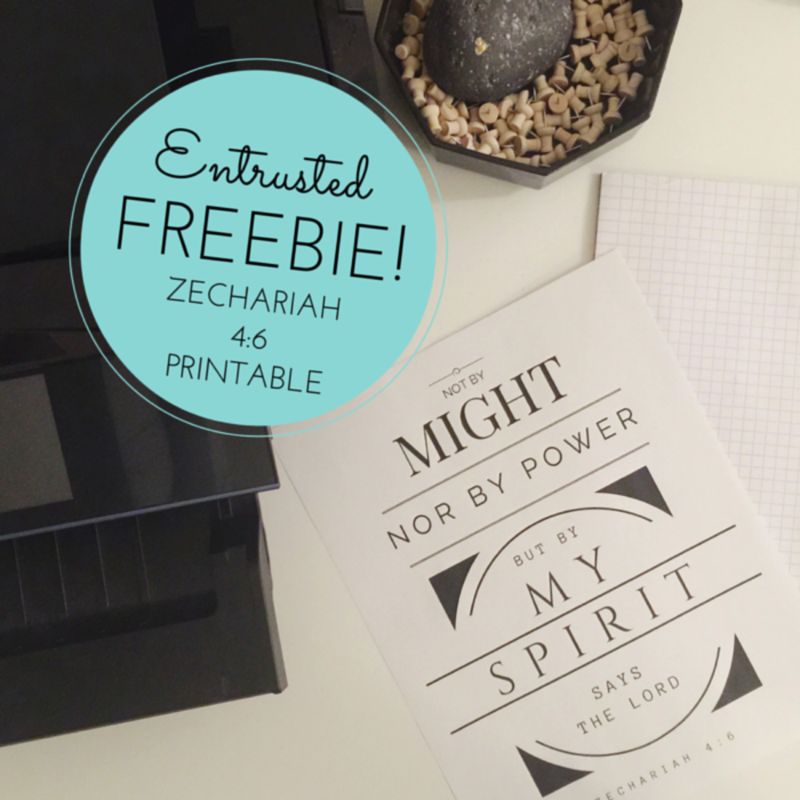 Posted on July 15, 2015 by Laura Irion and filed under Building Your Faith and tagged free printables.